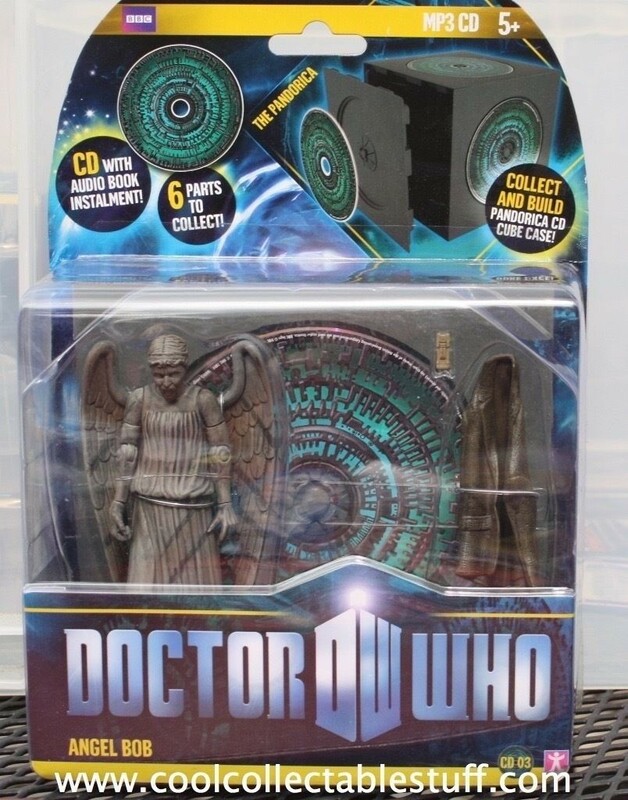 From doctorwhotoys.net: "Each 5-inch action figure includes an MP3 CD with audio book instalment and one piece of the Pandorica. Collect and build the Pandorica CD cube case. There are three complete classic stories across 6 CDs. Note: in August 2011 the Pandorica wave was rereleased with the audio CDs swapped for vinyl discs." This particular figure had a "Note: This Item Has No Audio CD" sticker on the packaging.